Damien Hirst, For the Love of God, 2007. Platinum, diamonds and human teeth. 17.1 x 12.7 x 19.1cm. © Damien Hirst and Science Ltd. All rights reserved, DACS/Artimage 2017. Photo: Prudence Cuming Associates Ltd..
Join international scholars and art world experts for a 10-week series on memento mori and vanitas, exploring the aesthetic and philosophical themes around the transience of life – treated by artists across disciplines and cultures and over the ages from ancient Egypt to the present day. Memento mori are simply symbolic reminders of our mortality – the limits and transience of life. They can take any form including paintings or sculpture, jewellery or costume. They exist across art forms from the fine and visual arts, and also music and dance. They can be grand or small and personal. Vanitas is a related but broader genre of the arts concerned with the ephemerality of life. Vanitas warn that the earthly pleasures have limitations and should be treated accordingly - with the trappings of power and riches, beauty and luxury all having a definite end. The aesthetic and philosophical treatment of the themes of memento mori and vanitas date back to the ancient world and have been explored by artists over the ages and across cultures. On the one hand the transience of life is something that unifies us all, but on the other, the treatment of mortality, its implication and visual representation has evolved over time and differs dramatically across cultures. The skull is one such symbol which has near-universal resonance and yet has been treated in many different and fascinating ways. Early representations of the skull in the arts are dated to the middle ages to serve as a reminder of our short life. In the 16th and 17th century, Flemish artists juxtaposed objects such as the skull with fruit and flowers (in various stages of decay), luxuries such as seashells and glass, as well as common objects like bread. Together these still-lives remain both evocative and beautiful but riddled in mystery and meaning. This 10-week course explores the history of art through the lens of memento mori and vanitas which at once reflect ideas and people of their time and aim to influence them. The course has a broadly chronological sweep – beginning with the arts of the ancient world through to the middle ages, the Italian Renaissance and Northern Flemish arts into the European 17th and 18th centuries. More recently the Victorian’s treatment of memento mori will be explored through direct reference to rarely seen works in the RA Collections, expertly selected by RA Archivists. There will be ongoing reference to modern and contemporary treatments of these themes including by artists of the 20th century, such as the Surrealists and many contemporary artists working today. Notably, in an era which has seen the democratisation of culture on the one hand and the emergence of mass consumerism on the other… it has been left to contemporary artists to continue to explore and evoke themes which challenge and question the transience of life and earthly pleasures. In a world riddled with uncertainty and perpetually transforming, the exploration of such themes could not be more timely. The course provides an interdisciplinary perspective on core themes in the history and philosophy of art with consideration across the fine arts but also the decorative arts. Leading art historians, art world practitioners and experts will explore landmark artworks and objects into the 21st century which have changed the way we see, think and understand our lives, limitations and our destiny. 7 - 9pm each week (registration from 6.30pm) £540 for full course, £320 for weeks 1 - 5 OR weeks 6 - 10. Includes all materials, light refreshments throughout and a drinks reception at the end of weeks 5 and 10. Prof. Sir Richard J. Evans is Regius Professor Emeritus of History at Cambridge University and Provost of Gresham College in the City of London. His publications include The Coming of the Third Reich, The Third Reich in Power and The Third Reich at War, as well as, most recently, The Third Reich in History and Memory. 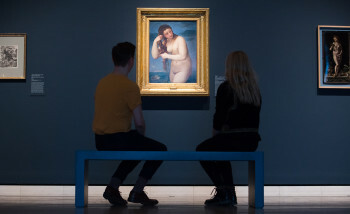 He is a member of the UK Spoliation Advisory Panel, which considers claims for artworks looted in the Nazi era. Sabina Andron is a lecturer in architectural history at the Bartlett School of Architecture, University College London. Her research focuses on the semiotic, material and legal dimensions of city surfaces, which she examines through signs and inscriptions such as graffiti and street art. Sabina has taught architectural history and theory at several universities across London, including modules in the history of London architecture and the history of the home and interior design. She ran an arts facilitation organisation for a number of years, visiting contemporary arts exhibitions in the capital and debating content with more than 1000 members. Sabina holds a BA in comparative literature and an MA in visual culture. She has presented her work on urban semiotics, surface cultures and the right to the city in the UK, US, Australia and throughout Europe; has published in edited volumes; and has shown photographic work in exhibitions in Philadelphia, London and Madrid. Prof. Claire Wilcox has curated many exhibitions at the V&A including Radical Fashion (2001), Vivienne Westwood (2004), The Golden Age of Couture: Paris and London 1947-1957 (2007), From Club to Catwalk: London Fashion in the 1980s (2013) and Alexander McQueen: Savage Beauty (2015). She instigated Fashion in Motion (live catwalk events in the Museum) in 1999. She has published widely, from exhibition catalogues to The V&A Gallery of Fashion, to accompany the redisplay of the Museum’s permanent fashion display for which she was Lead Curator. She is currently working on an exhibition on Frida Kahlo and is on the Editorial Board of Fashion Theory. Dr. Sophie Oosterwijk studied English literature in Leiden and Medieval Studies in York. She also has two doctorates in Art History (Leicester) and in English literature (Leiden), the latter on the subject of the Danse Macabre in text and image in late-medieval England (available online). She has taught at the universities of Leicester, Manchester and St Andrews, and also worked as a coordinator on the Medieval Memoria Online (MeMO) project at Utrecht University. Furthermore, she is a co-editor of the peer-reviewed annual journal Church Monuments and regularly teaches at the University of Cambridge. Her many publications include the edited volume Mixed Metaphors. The Danse Macabre in Medieval and Early Modern Europe (with Stefanie Knöll, 2011). Prof. Nigel Llewellyn trained as an art historian at East Anglia and Cambridge and studied at the Warburg Institute with EH Gombrich. He was Professor of Art History at Sussex, where he also served as Dean of European Studies and Pro-Vice-Chancellor. His areas of teaching, research and publication include the historiography and methodology of art history, early modern art and architecture (especially 18th-century Italy) and he has long been fascinated by commemorative art. For the V&A he has curated exhibitions on The Art of Death (1990) and The Baroque (2009). After Sussex he worked as Director of Research Centres for the Arts and Humanities Research Council and then in 2007 accepted an invitation to move to Tate to establish the research department there. Since retiring from Tate he has moved to Devon, where he holds honorary posts at the universities of Exeter and Plymouth. Judith Nugée is a specialist in antiquities who has been working in the field for over 30 years. Captivated by the ancient world, Judith read Literae Humaniores (Classics) at Oxford University. On leaving university, Judith joined Christie’s and reached the position of Head of the Antiquities Department. She remained a senior consultant with Christies until 2009 when she founded Hornsby + Nugée Ltd with her colleague Sarah Hornsby, Director of Antiquities at Christies at the time. Judith carries out independent commercial, academic and educational work which includes working with private clients as well as public and private institutions. Her work includes research of objects, advising for acquisition or sale, valuations and acting as agent. Judith has lectured widely on Antiquities, the marketplace and history of collecting on post graduate programmes, as well as taking specialist educational tours in Museums with an object and context-based approach. Judith is an independent specialist for the British Museum’s Treasure Valuations Committee, providing Treasure Valuations for the Committee, for the UK government as well as for Scotland and Ireland. Over the years, she has been involved in the research, cataloguing and valuation of major historic and cultural finds including the acclaimed Staffordshire Hoard. She served for 10 years on the Council of the British Museum Friends. She is a Founder Director of Hornsby + Nugée Antiquities consultants which advises on all aspects of the Antiquities market. Prof. David Ekserdjian is an authority on Italian Renaissance painting, with particular specialities in the artists Correggio and Parmigianino, the subjects of his two Yale monographs of 1997 and 2006. He is a former Trustee of the National Gallery and of Tate, and is currently a Trustee of ArtUK and of Sir John Soane’s Museum. He has enjoyed a long relationship with the RA, having curated or co-curated Old Master Paintings from the Thyssen-Bornemisza Collection (1988), Mantegna (1991), ‘Treasures from Budapest* (2010), and most recently Bronze (2012). In 2017-18, he will be the Slade Professor of the History of Art at Oxford, lecturing on the subject of From Drawing to Painting in the Italian Renaissance. Dr. Gavin Parkinson is Senior Lecturer in European Modernism at The Courtauld Institute of Art and editor of the Routledge series Studies in Surrealism. He lectures and writes on European and American art, culture and criticism of the nineteenth and twentieth centuries and is particularly interested in art and science, art historiography, comics and science fiction, with an emphasis on the long history of Surrealism (1922-69). His books are Futures of Surrealism: Myth, Science Fiction and Fantastic Art in France 1936-1969 (Yale University Press 2015); Surrealism, Art and Modern Science: Relativity, Quantum Mechanics, Epistemology (Yale University Press 2008); and The Duchamp Book (Tate Publishing 2008). He is also the editor of the collection of essays Surrealism, Science Fiction and Comics (Liverpool University Press 2015). His book on the Surrealist reception of late nineteenth-century art, titled Enchanted Ground: André Breton, Modernism and the Surrealist Appraisal of Fin de Siècle Painting, will appear through Bloomsbury in 2018. Annette Wickham has curated and contributed to numerous exhibitions at the Academy including John Gibson RA: A British Sculptor in Rome, Daniel Maclise: The Waterloo Cartoon, Drawing: The Lines of Time with Ann Christopher RA, and Constable, Gainsborough and Turner and the Making of Landscape. She has published on these subjects and regularly gives talks and papers focusing on aspects of the history of the Royal Academy, its Collections and its Schools. Annette studied History of Art at Manchester University and the Courtauld Institute and was previously an Assistant Curator at the Victoria and Albert Museum, where she contributed to two major projects: the British Galleries and the redisplay of the Hereford Cathedral Choir Screen. Edith Devaney is Contemporary Curator at the Royal Academy of Arts and Head of the Summer Exhibition. 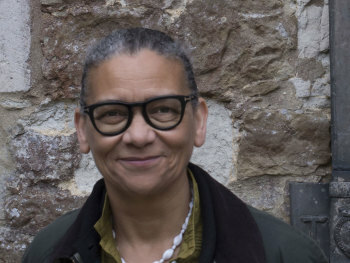 She has co-curated several blockbuster exhibitions at the RA including Abstract Expressionism, at the Royal Academy in 2016 and the Guggenheim Bilbao in 2017; and the RA’s blockbuster David Hockney: A Bigger Picture which opened in 2012, featuring large scale landscapes and works inspired by the British landscape, She has curated further innovative and critically acclaimed exhibitions which have re-positioned contemporary artists including Richard Diebenkorn in 2015; the David Hockney exhibition, 82 Portraits and 1 Still-life, and retrospective exhibitions on Allen Jones in 2014 and Bill Woodrow in 2013. In her capacity as Head of Summer Exhibition she has worked with many international contemporary artists on both the curation of this annual exhibition and special projects and displays relating to it. She is co-curator of Jasper Johns: ‘Something Resembling Truth’ exhibition for which she originated the exhibition concept and co-authored the introductory essay in the exhibition’s catalogue, She will oversee the exhibition’s tour and installation at its second venue, The Broad, in Los Angeles. She regularly contributes essays to exhibition catalogues and edited volumes and works with leading contemporary artists around the world. During the ten course sessions, leading art historians, dealers and professionals will present and consider the evolving representations and connotation of the vanitas, from the late medieval period to the contemporary, from the memento Mori to the skull mania of our age. It is a unique and unconventional opportunity to understand art history from the age of civilisation to the present day. The course will be delivered in part through a lecture format, but will include an opportunity for questions and discussion between speakers and participants. The course is designed to enable an historical overview for those new to the field, but is relevant for those with prior art world knowledge experience keen to learn from experts. • An exploration of the representation of the ephemerality of life in the arts, with focus on subcategories such as memento mori, dance macabre, apocalypse, homo bulla and vanitas.